"Ahh. . . Fresh Meat!" Born of the Burning Hells, and stitched together from other demons, The Butcher is a sadistic creature that delights in the torture and pain of others. The arrival of the Eternal Conflict has pulled this frightening demon from the Chamber of Suffering and into the Nexus. With his massive cleaver and sickle in hand, The Butcher now stalks each Battleground in search of the next corpse to add to his collection. 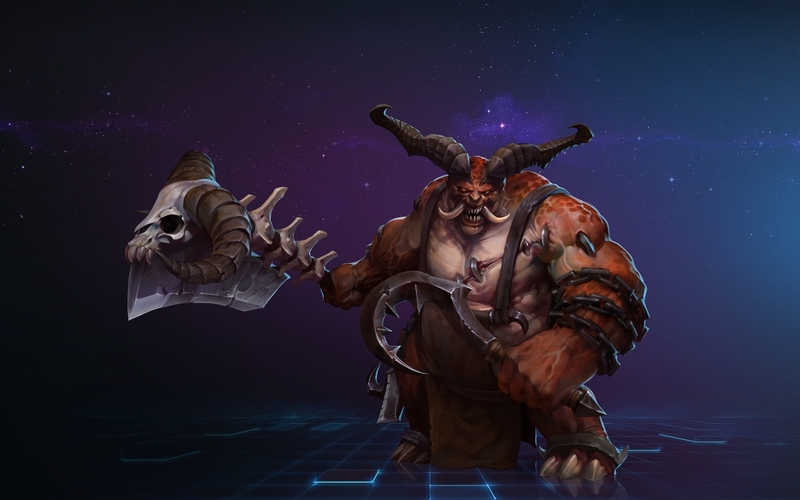 Those daring enough to guide The Butcher through the Nexus will find that this formidable melee Assassin excels at singling out and engaging in one-on-one combat with Heroes he manages to separate from the pack. The Butcher’s Ruthless Onslaught, Hamstring, and Lamb to the Slaughter abilities allow him to mercilessly chase and lock down his targets, while Butcher’s Brand helps him survive the ensuing struggle with his prey. 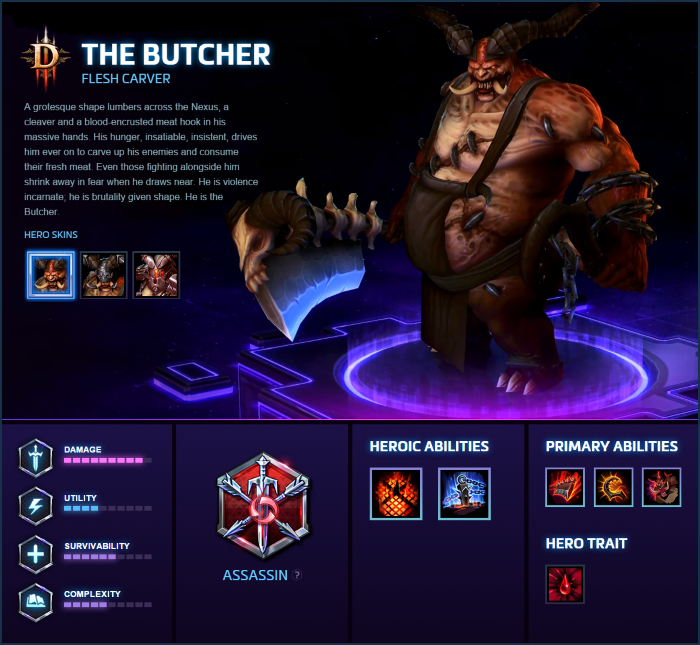 Check out The Butcher's Hero Page and spotlight video below to get an even more in-depth look at this terror-inducing new Hero’s abilities and skins.